High Cotton Greenville will host a post-show dinner this Sunday (January 4th) and anyone who’s seen the recent production of A Streetcar Named Desire, will see Streetcar, or simply loves great food and excellent theatre conversation is invited. RSVPs are being taken now at 864-335-4200. The event will feature a 3-course dinner prepared by Chef Adrian Carpenter. Guest host for the evening will be Executive and Artistic Director of The Warehouse Theatre, Paul Savas. 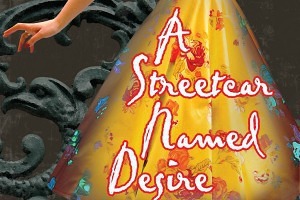 The event will begin immediately following Sunday’s matinee of A Streetcar Named Desire (appx. 5:50-6:00p). $40 gets you a fantastic 3-course dinner, plenty of hearty theatre discussion with fellow theatre-lovers, and an engaging evening with Paul Savas. Join us at High Cotton Greenville on Sunday after the show. RSVPs will be taken at 864-335-4200 through Saturday, January 3rd. $40 price does not include tax and gratuity.